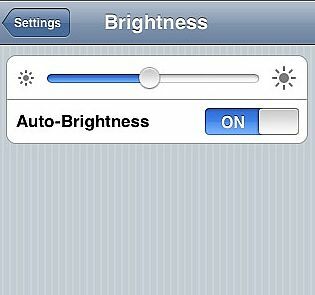 On your iPhone main page click Settings>Brightness and then slide the button all the way to the right. You can also turn off “Auto Brightness” when you lay down to surf or read, to stop it from doing that annoying dimming when you’re trying to see things clearly. O.K., before you say I am insulting your intelligence, let me explain. For one, I’ve had an iPhone for a few months and I didn’t know how to do this, and I generally think of myself as half techno-geeky. I’ve also been a computer enthusiast for years and that didn’t stop me from letting a hard drive crash a few years ago with no back up, loosing a lot of valuable stuff. I call these “blind spots” in one’s psychology. So maybe its just me, or maybe some of you out there have them too. I don’t know. We write in order to learn and to remind ourselves and to improve. Also, I blog about what interests me at the moment. A couple nights ago, I fell asleep at around 6pm and woke up at 9. I looked over at the digital clock to see what time it was, and it wasn’t on. Didn’t take me long to figure out that the electricity was off in the whole house. First reaction? Did I forget to pay the bill? No, I knew I had. But anyway it was pitch black. I had no way to see. Except for my iPhone. Then I thought about the Flashlight App I had gotten and dismissed as being stupid and somewhat of a scam. But anyway I turned it on. OK, at least I could tip toe around. Around enough to look out the window and see that the whole neighborhood was pitch black too. Whoo, rubbing the sweat off, relieved it wasn’t just me, and that I had somehow forgot the bill. Anyway, it occurred to me, “Can I brighten this thing?” So that brought me Settings and Brightness, and Wahlaa! a flashlight that wasn’t so bad after all. And another benefit of it is that it keeps the screen on, from going into sleep mode so that you don’t constantly have to worry about swiping the unlock button. I walked outside, saw a few people wondering the same thing and then a couple of Entergy trucks heading down the main thourough fare. The electricity was out for a good three hours. So I came back in sat down in a comfortable chair (that I could find now!) and surfed the web on my iPhone. You know before I almost never surfed the web on the iPhone. Felt the screen was too small, but in this situation I didn’t. And now I am more comfortable and almost enjoy surfing with it, even now that the lights are back on. Funny how an electrical outage can ironically turn a few psychological lights on. P.S. See even here CNET calls the Flashlight App “Absurd” and I would have heartily agreed, until that night I needed it. One doesn’t always have a flashlight or candle (that’s lit) by one’s bed, but one always has one’s phone. For this particular occasion the $.99 was worth it. This entry was posted in 1 Minute Tips, Apps, Iphone, Tech and tagged brightness, flashlight app, Iphone, power outage, settings on October 10, 2009 by Stephen Pickering.